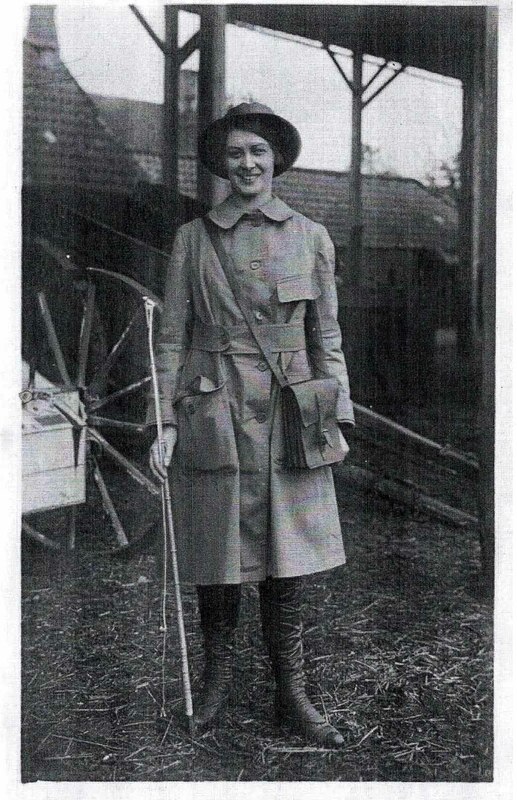 Women were instrumental in agriculture throughout World War I and here, Cherish Watton, Women’s Land Army historian and founder of womenslandarmy.co.uk, shares an account from former Land Girl Dorothy Eddowes. "In 1917, Dorothy Eddowes, 21, joined the Women’s Land Army (WLA) under unusual circumstances, staying to work on her family’s farm, The Grange, Gunthorpe, Northamptonshire. Like many of the 23,000 Land Girls who joined the WLA, Dorothy hadn’t previously worked on the land. She was responsible for delivering the milk twice a day using four of her father’s milk floats, carrying heavy urns of milk and looking after the horses. One of Dorothy’s abiding memories was of the men staring down alleyways at her as she delivered milk but they weren’t mocking.